Those “unaccounted for children” are Hannah Jean Hart, 16, and Devonte Hart, 15. The married couple, Jennifer Jean Hart and Sarah Margaret Hart, both 38, were killed. Even more tragic, four of their children Markis, 19, Abigail, 14, Ciera, 12, and Jeremiah, 14 were all subsequently found deceased, having been thrown from the vehicle. Initially, first responders were only able to locate Markis, Abigail, and Jeremiah when they pulled five bodies from the wreckage. Operating on the belief the three missing children were alive somewhere, crews began a grid search. 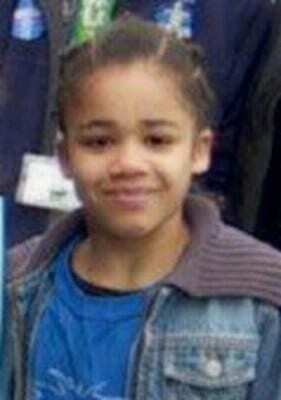 Twelve days later, the remains of Ciera were found in the water not far from the crash site. How could this have happened? A beautiful family was killed tragically, with two of the children still missing. 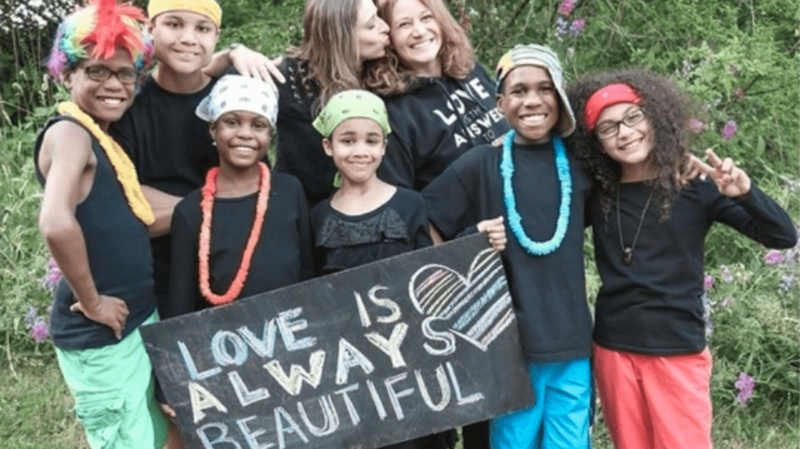 Although investigators cannot determine for sure whether Hannah and Devonte were in the SUV at the time of the crash, they have every reason to believe they were, as close friends of the Harts reported the family of six often crammed into the SUV for “weekend adventures.” Operating on the assumption the two children were present, investigators now believe the two children might be traveling together following the crash. 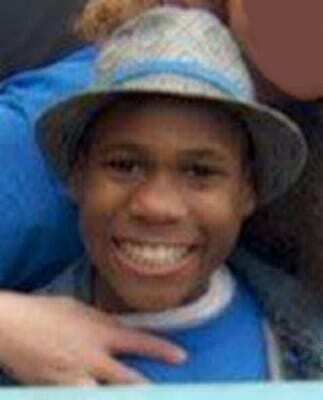 Many people nationwide recognized Devonte’s grinning face on the FBI’s missing persons flyer from a photo that went viral in 2014 following the Ferguson demonstrations. 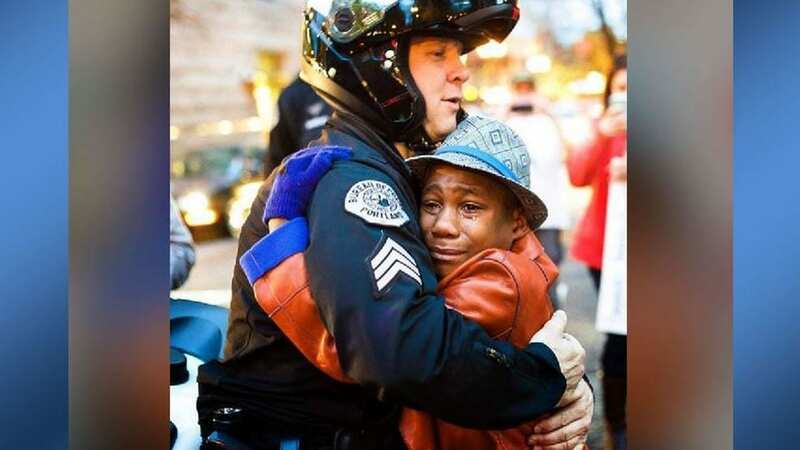 At a Portland demonstration, after a grand jury declined to indict officer Darren Wilson in the fatal shooting of Michael Brown, Devonte was photographed in a tearful embrace with Portland officer, Sgt. Bret Barnum. Devonte’s “Free Hugs” sign caught the sergeant’s eye. It was an image of hope in a tumultuous time of civil demonstration and protest. While Devonte’s face might have been famous around the country, his level of notoriety has not unearthed any reliable leads to the whereabouts of either of the missing Hart children. Neighbors who heard about the tragic accident were reminded of instances where both Devonte and his older sister, Hannah, had paid several visits to their home. The DeKalbs, who lived next door to the family in Woodland, recalled more than a few instances leading them to believe the Hart children might have been abused. One night, Dana DeKalb woke up to Hannah Jean Hart standing over her in her bedroom. The 16-year-old had jumped from her second story window, crossed the yard in the dead of night, and entered the DeKalb’s house in search of sanctuary. It wasn’t long until the rest of the family showed up on the doorstep looking for Hannah. When the Hart mother introduced all of the children, he was shocked to learn Hannah was sixteen. She was so petite, he believed she was about seven years old. Following that strange incident, there were many occasions Devonte showed up on their doorstep asking for food. His parents were refusing to feed him because he was being punished. That’s when the DeKalbs finally decided to call Child Protective Services (CPS). The Friday after making the call, the DeKalbs observed a caseworker knock on the door of the Hart home, but shortly leave after there was no answer. On Monday, when the caseworker returned, the Harts were gone. This was not the first time Jennifer and Sarah Hart had dealt with CPS. In September of 2008, when Hannah was six years old, she contacted CPS with information her mother had been bruising her with a belt. When asked by investigators what had happened, Sarah and Jennifer told authorities Hannah had fallen down the stairs. In 2010, a teacher of Abigail Hart’s was forced to contact CPS when she noticed bruising on the child’s abdomen. In April 2011, Sarah Hart pleads guilty to beating Abigail, despite Abigail having told investigators Jennifer did it. Sarah is given one year’s probation for misdemeanor domestic assault. After her plea, Sarah and Jennifer pull all six children out of public school and begin homeschooling them until the time of the crash. This background on both Sarah and Jennifer Hart is of interest to authorities investigating the crash, because at the time of the accident, Jennifer Hart was legally intoxicated. The tox-screen on Sarah Hart came back posthumously positive for traces of a Benadryl-like substance in her bloodstream. Two of the three children found in the car were also found to have the same substance in their systems. Forensic analysis of the scene led investigators to determine the SUV was at a complete stop before accelerating off the edge of the cliff. In addition, there were no skid marks found near the scene whatsoever, leading to the conclusion the accident might not have been an accident at all. Were the Harts trying to escape the invasive eye of CPS when they got into the SUV? Were they intentionally trying to end their lives and the lives of their children? Friends of the family are quick to discount not only the theory the children were abused, but the theory Sarah and Jennifer Hart were intentionally running from police. Zippy Lomax, a Portland photographer who had known the family for six years, told the Washington Post Sarah and Jennifer were “incredibly invested in their children. They inspired me deeply and just felt like the most incredible people that the world needs more of,” she said. Since the discovery of Ciera Hart’s remains in the weeks following the crash, law enforcement now presume Hannah and Devonte may be deceased. Human remains were found near the crash site, as well as scraps of clothing, including a girl’s size 10 jeans and a child’s size 3 shoe, but no connection has yet been made to either Hannah or Devonte. Despite the presumption of fatality, the FBI still has the children listed as missing. Hannah Jean Hart is sixteen years old with black eyes and black hair. She may be wearing a retainer. Her full-page FBI flyer can be found here. Devonte Hart is fifteen years old with black eyes and black hair. He may be wearing a fedora hat. His full-page FBI flyer can be found here.